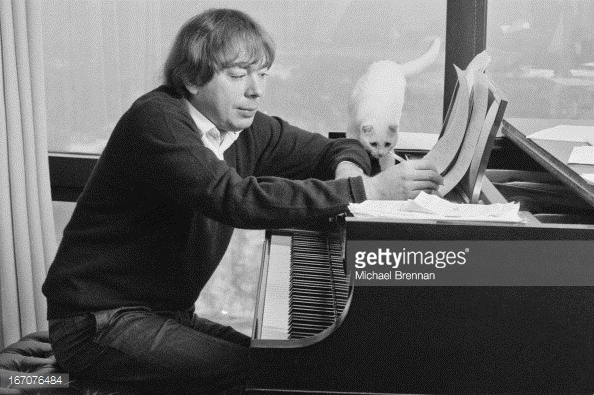 Sir Andrew Lloyd Webber is a composer, songwriter, theater director, and TV personality. He has created some of the most recognizable Broadway music of all time. 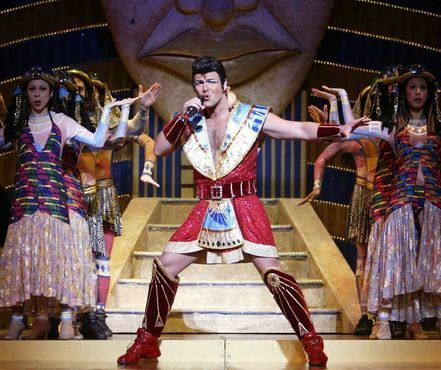 Several of his musicals have run for more than a decade in the London West End Theater District and on Broadway. He has composed thirteen musicals, two film scores, and classical listening music. 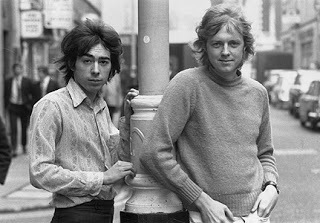 His theater production company, called the Really Useful Group, is one of the largest operating in London. 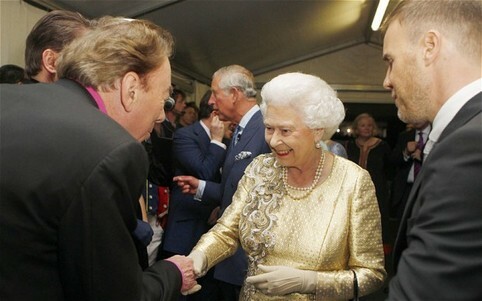 Webber has been awarded many music honors, including a knighthood from Queen Elizabeth II for his services to music. 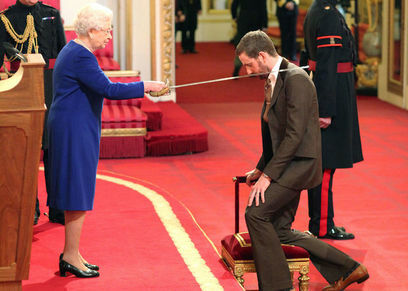 Men who have been knighted by the queen have the title 'Sir' before their names. (They just don't wear shining armor anymore.) Even though Webber is British, he has a star on the Hollywood Walk of Fame, and he is a member of the Songwriters' Hall of Fame. Webber's most famous works are the musicals Joseph and the Amazing Technicolor Dreamcoat; Jesus Christ, Superstar; Cats; Evita; and Phantom of the Opera. 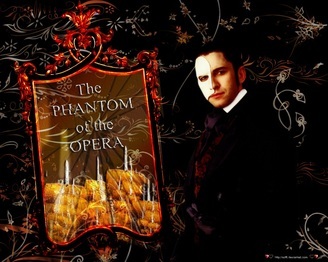 Our listening example today is the theme from Phantom of the Opera. 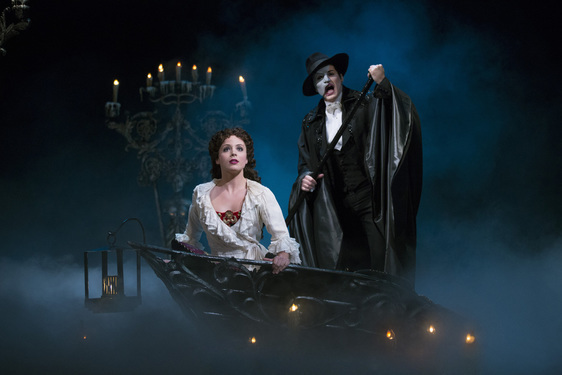 The story is not about a real phantom, or ghost, but about a musician who lives under a Paris opera house while he helps a singer to become an opera star. Webber sets the stage with music that sounds spooky and powerful, and will lure the listener further into the story. 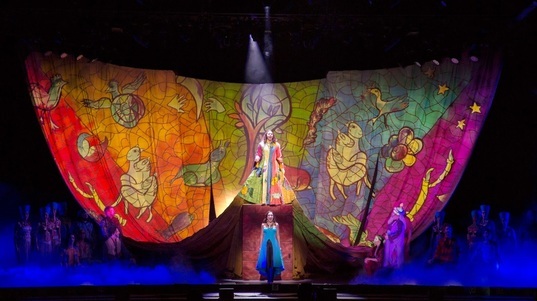 Scene from a live stage production. 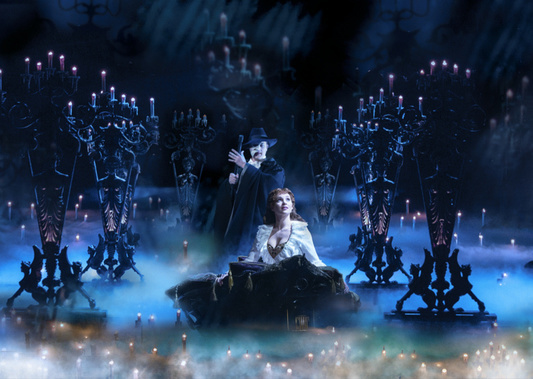 "The Music of the Night" performed by Michael Crawford and Sarah Brightman. approx. 5 min. 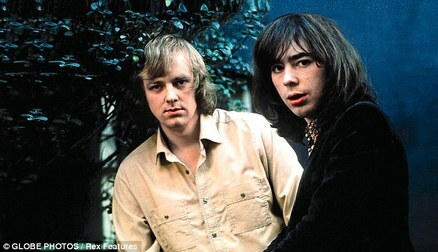 Listening Example: "One More Angel in Heaven"
Andrew Lloyd Webber was born into a musical family and was a true musical prodigy from the early years of life. He played the piano and violin at age three, then the French horn, and began writing his own music at age six. 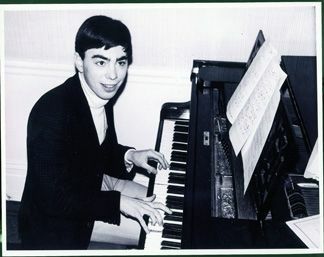 As a teenager, Andrew Lloyd Webber decided to follow his interest in musical theater. 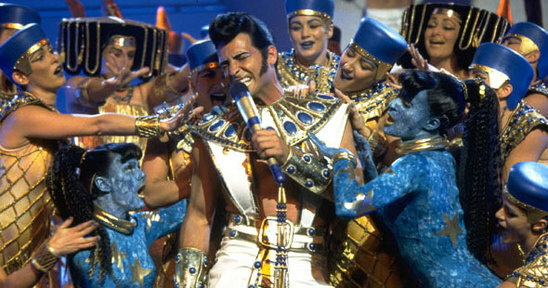 He soon began working with song writer Tim Rice, and this partnership began a career of hit musicals. At age twenty, Webber wrote his first successful musical which became a big hit. 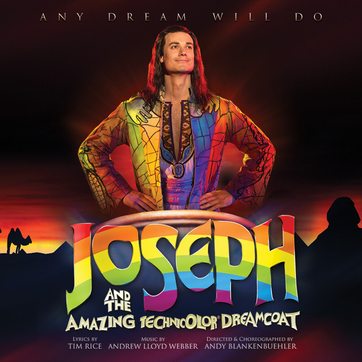 This 1968 production by Webber and Tim Rice was Joseph and the Amazing Technicolor Dreamcoat, based on a Bible story from the book of Genesis. 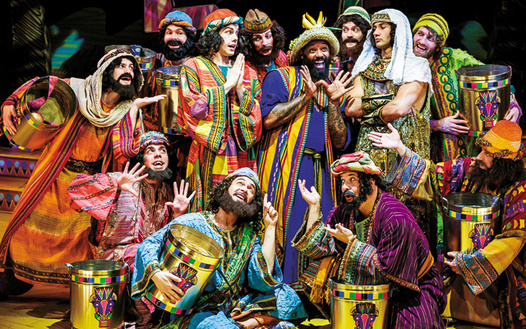 It is about a young man named Joseph, the favorite son of Jacob. 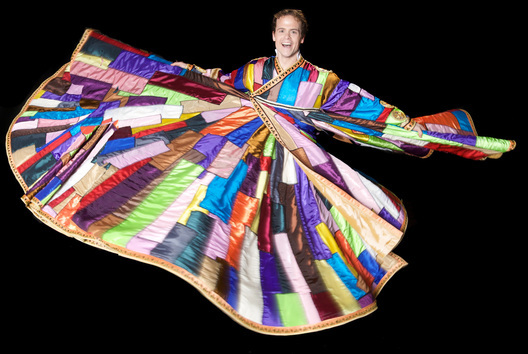 Joseph’s brothers sold him into slavery in Egypt because they were jealous of him and the coat of many colors his father gave him. 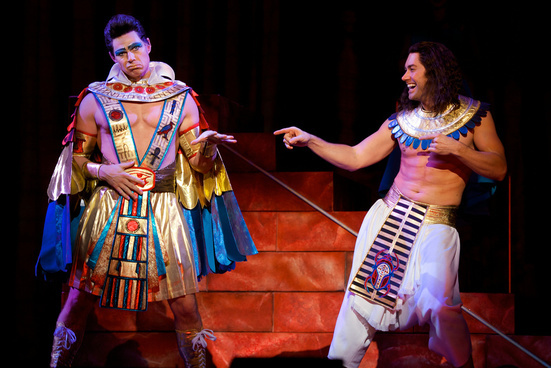 But the story has a happy ending when Joseph eventually becomes the pharaoh. 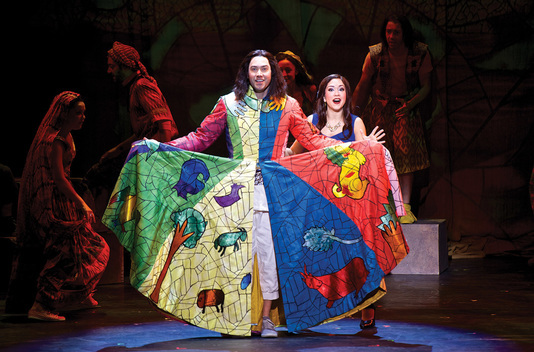 The songs Webber wrote for this comedy musical include pop, disco, country-western and other music styles. 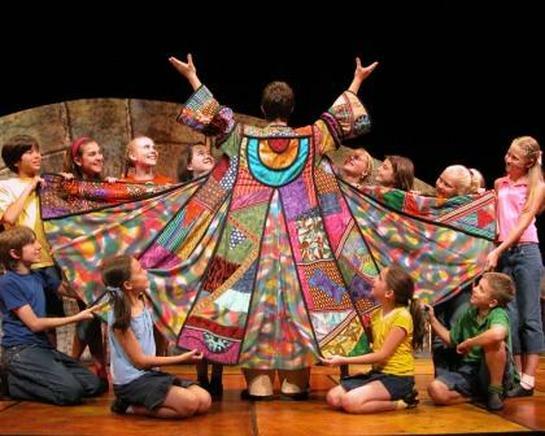 Our listening example is from this musical, and is a humorous song called “One More Angel in Heaven”. The country-western style Webber used is pretty obvious in both the music and the singing. 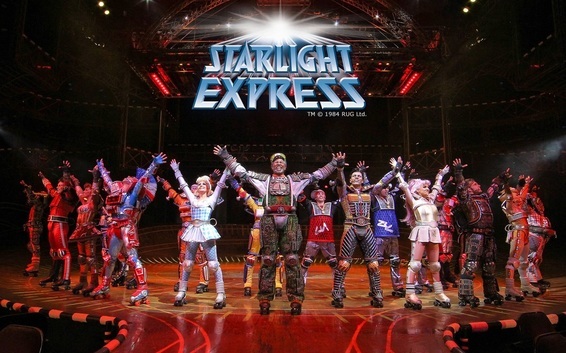 One of the most exciting musicals by Webber to watch is the 1984 hit, Starlight Express. 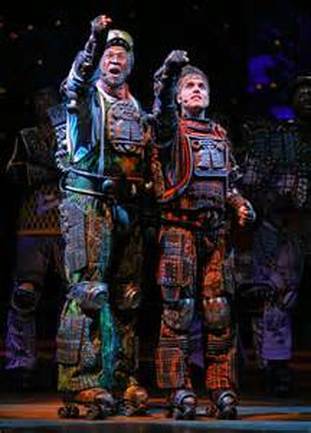 This is a futuristic pop-rock musical about competition, rivalry and hope. 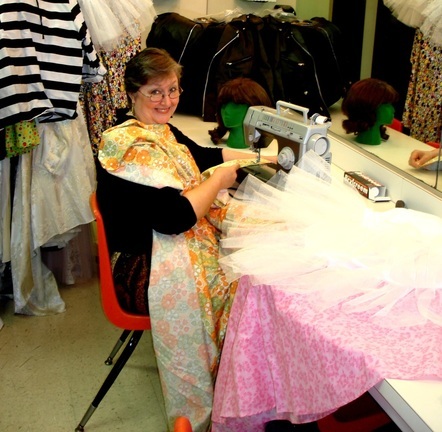 The show is about a young boy's dream-fantasy about trains. 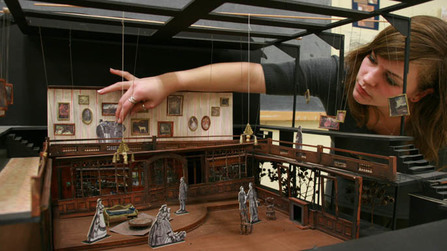 It has spectacular sets and costumes. 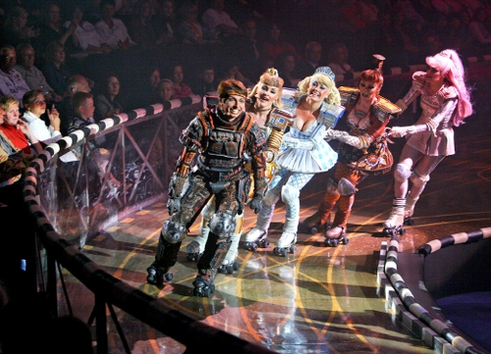 The cast members, playing the roles of trains, all perform on roller skates. 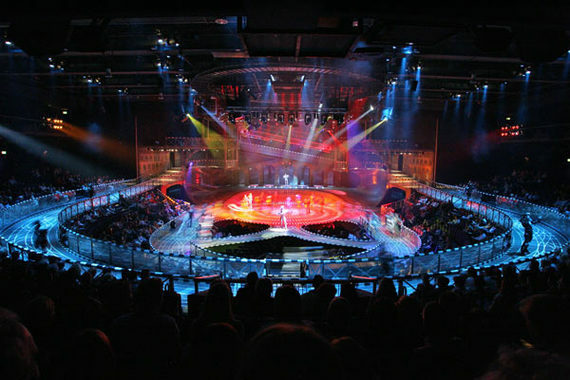 The show features live stunts by professional skaters on a large racetrack built around the audience. 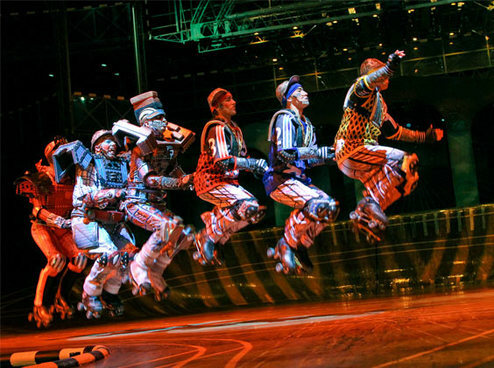 They perform amazing feats and dances on suspended bridges that rise, sink and swivel throughout the show. In the story, a child’s train set magically comes to life, and the various engines compete to become the fastest engine in the world. The plot concerns an imaginary race across the United States by three trains, including Rusty the steam engine, Greaseball the diesel, and Pearl, a young railroad car. 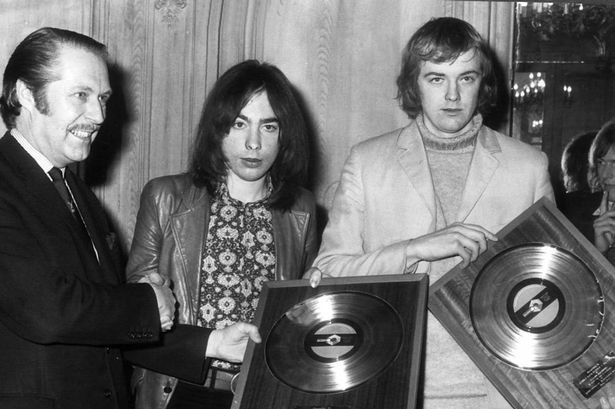 The music includes several styles of American popular music, including disco, blues, country-western and rap. 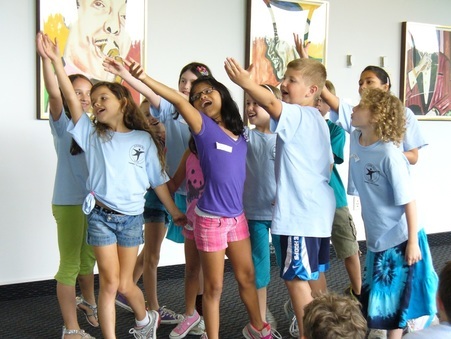 Like the heroes in Cars or Planes, Rusty the steam engine comes out the winner. 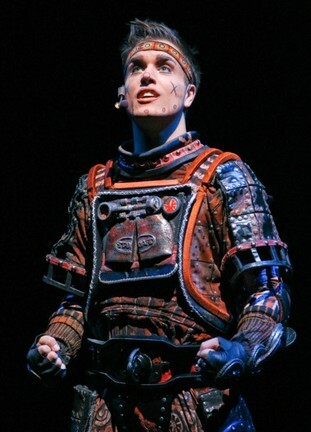 Today’s music example is the ‘showstopper’ number from the musical, performed by Rusty. 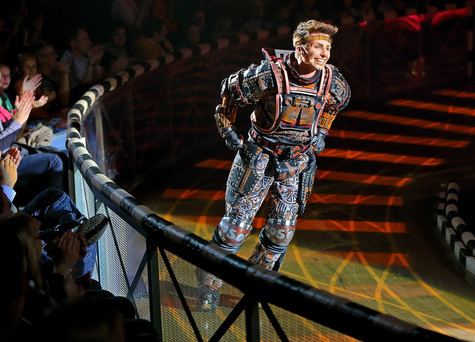 Before the song, he has been told by the old steam engine Poppa about a magical locomotive, named the Starlight Express, who will help him in his time of need. The tender music and lyrics convey a feeling of hope and encouragement. Listening Example: "Don't Cry for Me, Argentina"
Sometimes we hear about how much money professional football players and basketball stars get paid. But what about successful music composers’ income? 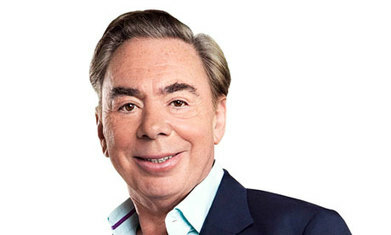 Andrew Lloyd Webber’s net worth today is $1.2 billion! 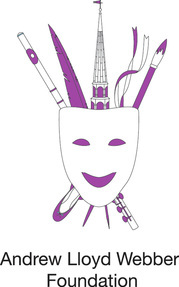 to help artists develop their abilities and careers in all areas of the arts. able to put on a big stage production. 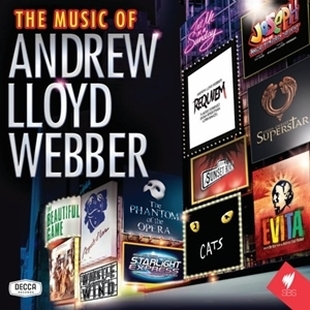 Several of Webber's songs have been recorded and were hits outside of their musicals. These include "The Music of the Night" from Phantom of the Opera; "I Don't Know How to Love Him" from the rock opera, Jesus Christ, Superstar; "Memory" from Cats; and "Don't Cry for Me, Argentina", from Evita. Webber earns royalty money each time these songs are purchased. 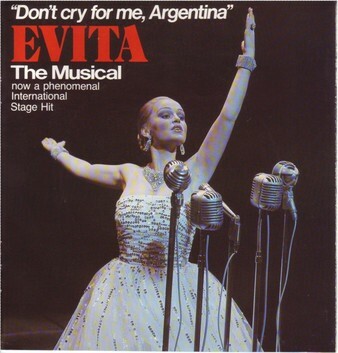 Our example today is “Don’t Cry for Me, Argentina” from the 1978 musical, Evita. The song was written and composed by Webber and Rice while they were researching the life of Argentinian leader Eva Peron. ‘Evita’ is a nickname for Eva. In the song, Eva encourages the people of Argentina not to miss her when she is gone. The 1996 film version starred Madonna in the leading role of Peron. The actual song begins at about 50 seconds. There’s a funny story about Webber and his work, although at the time, Webber probably didn’t think it was very funny. 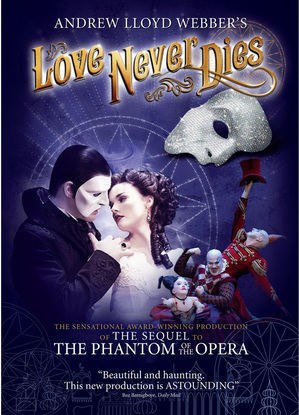 He was writing a sequel musical to Phantom of the Opera called Love Never Dies. 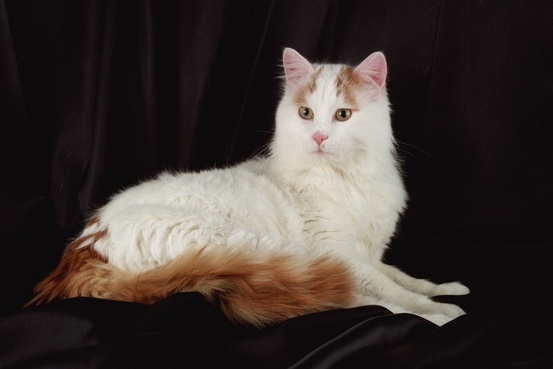 Webber owns a rare Turkish van cat. 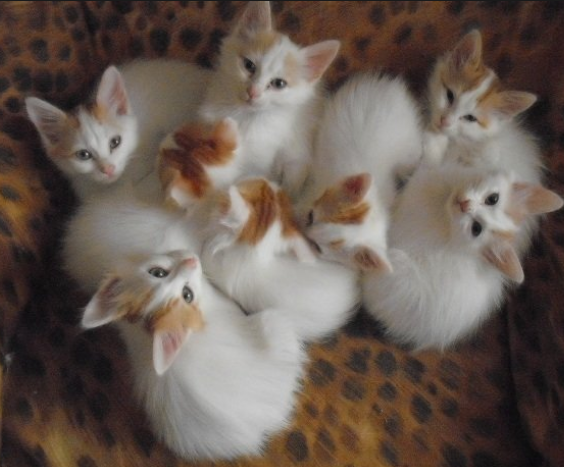 Turkish van cats are long-haired, white cats with color restricted to their heads and tails. While Webber was working on the music, his cat Otto pounced up onto his digital music keyboard and accidentally deleted some of the music! Oh, those rascally cats, always wanting to jump up on things, like computer keyboards, and pressing keys they shouldn’t. Fortunately, Webber was able to recreate the music from memory. This story is appropriate for our music example for today. 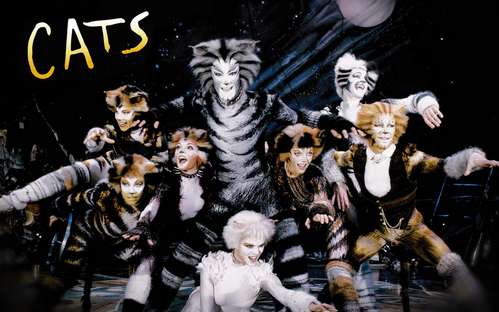 It is the song “Memory” from Webber’s 1981 musical, Cats. 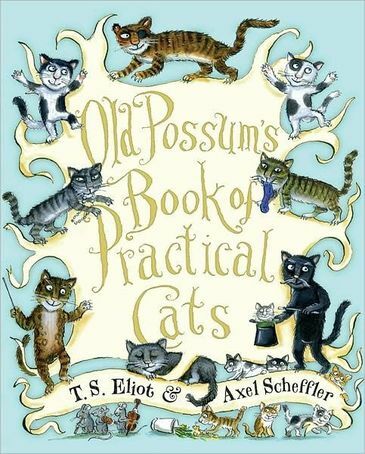 Cats is based on a book titled Old Possum’s Book of Practical Cats, written by author T. S. Eliot. The story tells of a tribe of cats and choices they must make. The actors and singers are all dressed in cat costumes. 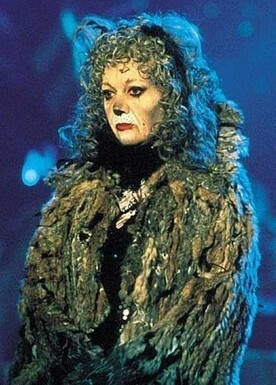 The musical is best known for the award-winning hit song “Memory”, sung by the character Grizabella. Grizabella is a one-time glamour cat who has lost her glamour. The song is a remembrance of her glorious past and her wish to start a new life. 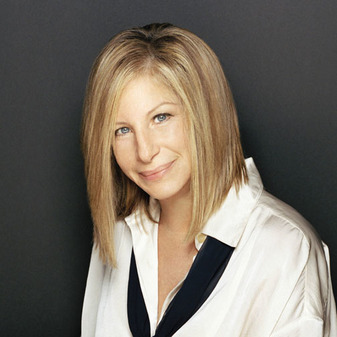 “Memory” became famous when it was recorded by the American pop singer and actress, Barbara Streisand. From the live musical, sung by Elaine Paige.